I am a Board Certified Behavior Analyst and work with children with Autism and other developmental disabilities. I am wife to a Navy Submarine Officer and mother of two children, Catherine Bernadette- 2 1/2 and Matthew Lewis, 6 months. Thanks to Dr. Burzynski and our friend, God, I am now a healthy 18 year old. As a senior at Martin High School in Arlington, Texas, I am very involved with school. I am in TAFE, the Texas Association of Future Educators, a club in which students tutor at the local elementary schools and work with teachers. I am also involved in the Key Club and the French Club. I am in Theater Arts in the work crew for various productions. I have won the Who's Who Among American High School Students Award, the All-American Scholar Award, and the United States Business Education Award. My time also is filled by my employment at a local restaurant, where I have worked for almost 2 years. This summer, I plan to begin working part time as a waitress to gain experience waiting tables. I also would like to obtain a full-time job as a bank teller or in an office. Currently, I am looking forward to graduation and my prom. Both are quickly approaching in May. I also am very excited about the fact that I have just received my driver's license and a car! My car is nothing special, but it gets me where I want to go. In the fall, I plan to begin classes at Tarant County Junior College near my home. I plan to study there for a year or two before leaving home for the University of North Texas, where I want to major in education and business. I hope to become a kindergarten teacher when I graduate from college. The week after the removal of the tumor from the bottom of our 3-year-old daughter's right foot in 1984 was a difficult one. The growth had gone from a small black dot to the size of the tip of my finger in a few short weeks. The biopsy report should not have taken more than 2 days, but repeated calls to the surgeon went ignored. As we later learned the pathologists in Spokane, Washington, would not believe their finding of nodular malignant melanoma. They had sent the biopsy slides to the University of Pennsylvania for confirmation. When the surgeon finally called Joyce and me into his office after- hours, we knew the news would not be good. The concurrence of melanoma, Clark level IV with a 3.75-mm tumor, immediately put Jessica's disease in the category of a stage IIa melanoma. Children, we were told, do not get melanoma. The diagnosis of melanoma meant nothing to me, except that it was cancer. Joyce and I realized that we could put Jessica in the doctors' care and give them unquestioning cooperation, or we could become intricately involved in the treatment process. To turn Jessica over to the doctors would require enormous trust and confidence in their medical expertise. This would also add to the intrinsic isolation of medical knowledge. A choice to become involved would mean educating ourselves about melanoma, not an easy task, and spending a lot of time writing and talking to doctors who were experts on melanoma. A third consequence of getting involved, that we had not counted on, was having to deal with the arrogant opposition to non-mainstream treatment. We decided that Jessica would stand a better chance if we became involved. Between November 1984 and March 1985 our lives were consumed with trying to find the best treatment for Jessica's disease. Jessica was personally seen by about 25 doctors. Joyce and I made two trips to the University of Washington at Pullman. We read through every book there on melanoma. Most had horribly graphic pictures of what advanced melanoma can do to a person who is not lucky enough to have internal organ damage and resulting death. I contacted, by letter or phone, doctors and institutions in England, Germany, Italy, and throughout the United States. Most of the treatments being used were new, such as laser or cryosurgery. The general consensus was to remove the existing tumors and hope the disease did not spread. On March 3, 1985, surgeons removed the second toe of Jessica's right foot, part of the large toe and underlying tissue, and multiple nests of melanoma tumors. Exploratory surgery into her lower stomach and groin revealed one large malignant tumor deep in the right groin and major lymph node involvement. In 5 months, our firstborn had gone from having no disease to stage IV cancer. The best that medicine in this country had to offer was a treatment that had a 5-year survival rate of 22%. In June of 1985, officials of the company for which I worked engineered my transfer to the Dallas/Fort Worth area of Texas so that I could keep medical insurance on Jessica. The plant in Spokane, Washington, was closing. June also brought the appearance of more tumors on Jessica's right foot. The doctors in Seattle who had been treating Jessica were now too far away financially. We had to begin the process anew to find a local doctor for Jessica. When doing so, we met a man from Dallas who was being treated with a nontoxic chemotherapy by a doctor in Houston. Antineoplaston chemotherapy, we were told by its discoverer, had very few if any negative side effects. 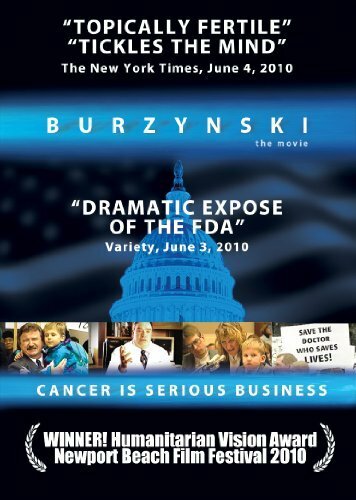 Many of Dr. Burzynski's patients had received outstanding results; others he could not help in any way. Dr. Burzynski would make no predictions as to how Jessica's melanoma would respond to his treatment. Also, his treatment was considered experimental by the United States government. Therefore, if my health insurance company would not pay for it, I would be responsible for all the costs. Jessica began taking Antineoplaston A10 in August 1985. The new tumors on Jessica's right foot continued to grow for a time, but as we continued the treatment it appeared that they had stopped growing. In the past 21 months that Jessica has been on the treatment, no new tumors have appeared. Jessica has had two nuclear magnetic resonance imagings performed that have shown no remarkably abnormal growths. Oncologists in Seattle and Dallas have remarked on the apparent positive effects of antineoplaston treatment on Jessica. Today she eats, sleeps, and plays like any normal, healthy 6-year-old child. Although melanoma, more than any other cancer, has the highest rate of spontaneous regression, one must keep in mind that this will occur in less than 1% of all patients. Considering the many high risk factors and the rapid growth of Jessica's disease, dismissal of antineoplaston treatment as a coincidence with any regression that would have taken place would be a huge error in judgment. More and more victims of cancer are turning to the so-called unproven cures as their first treatment of choice. The time is drawing nearer when the cancer establishment will be forced to own up to the fact that the methods of the past do not work. Once the disappointments of the past are overcome, the mavericks in medicine can devote their time exclusively to truly curing cancer. Mr. and Mrs. Joseph A. Kerfoot, Sr. In August of 1999, after graduating High School, I began attended Tarrant County Community College and had the opportunity to be very involved in many organizations and meet many amazing professors and classmates. I then received a full tuition scholarship to Texas Christian University where I obtained a Bachelors of Science in Middle School English/ Language Arts Education. While studying at TCU I worked as an in-home therapist for children with autism and realized that I enjoyed working with children with special needs as much as I enjoyed working with middle school age kids. During my last semester at TCU, I had the opportunity to study Myths, Legends and Fairytales in Denmark and Norway with a class that represented eleven different countries. The experience could not have been more amazing and now I have great friends all over the world! After graduating and completing my student teaching with a challenging, but fun group of sixth graders, I moved to Austin, Texas to live with my sister. In May of 2004 my sister, mother and I spent three fun weeks backpacking around Spain, France and Italy. It was a great trip and I loved being able to share the experience with my mother and sister. When I returned to the United States I learned I had received a Federal Grant to obtain my Masters in Early Childhood Special Education at the University of Texas at Austin. Thanks to the grace of God and the help of Dr. Burzynski I look forward to going back to school in August. I can't wait to start teaching and hope that someday I will be able to combine my love of travel with my love for teaching and be able to teach abroad.